Welcome to Episode 10 of Superman in the Bronze Age. 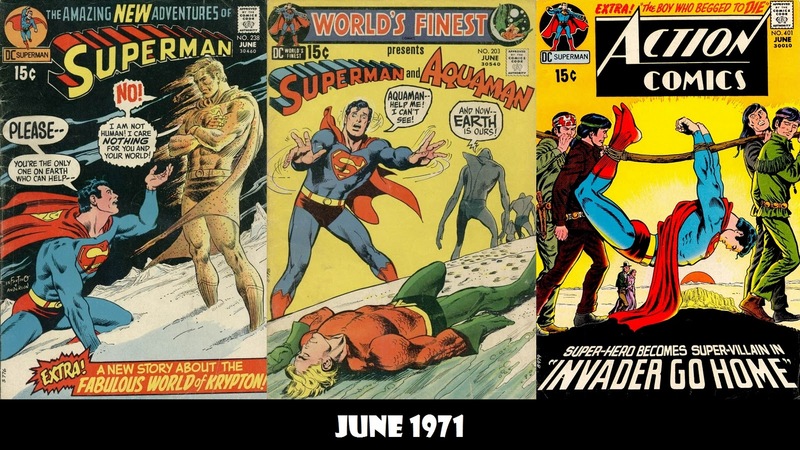 I celebrate finally getting to double digits by reviewing the Superman books with a June 1971 cover date: Superman #238, World’s Finest #203 (guest-starring Aquaman) and Action Comics #401. I would also like to thank Steve Younis for agreeing to post new episodes of this show on the Superman Homepage. 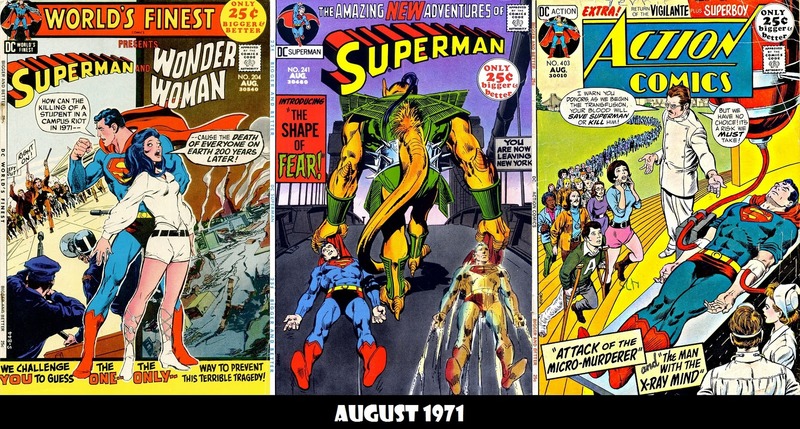 That’s right, Superman in the Bronze Age now has the support of the premiere Superman website on the net! Superman in the Bronze Age is a proud member of the Superman Podcast Network. You may also subscribe to the podcast through iTunes or the RSS Feed, or you can download the episode directly here. If you would like to comment on the show or contact me, you can to so in the following ways: you can cleave a comment below or you can email me here. You also private message me or leave a comment at the posting on the Superman Homepage. 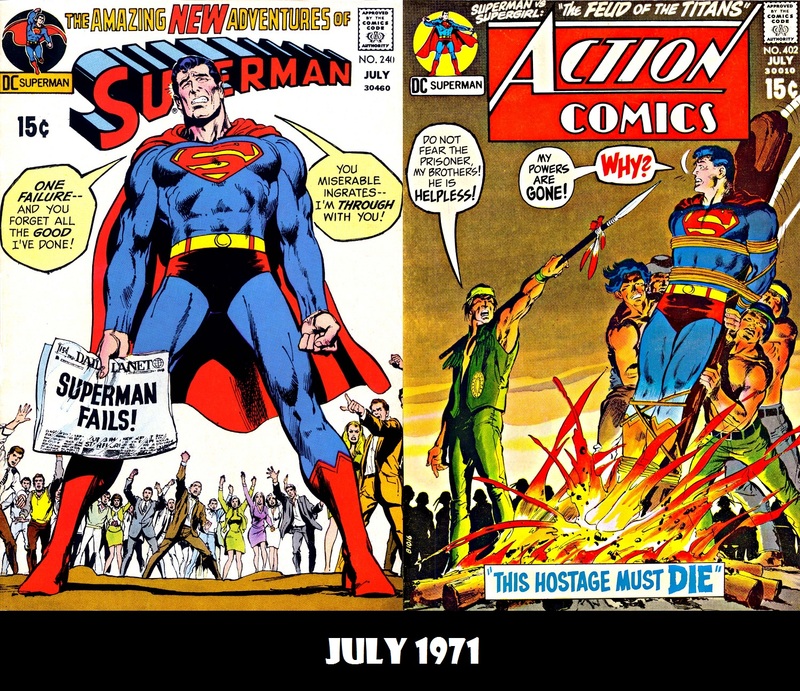 Next week, July 1971: Superman #240 and Action Comics #402. It’s time for episode 9 of Superman in the Bronze Age. In this episode, Batman guest-stars but gets thrown around, Superman takes a bath, and we learn that the Kryptonian definition of teamwork doesn’t actually involve any teamwork. Also, Michael Bailey and Jefferey Taylor of From Crisis to Crisis: A Superman Podcast make an big announcement to get a long overlooked story back in print. You can follow the podcast several ways: The RSS Feed, via iTunes, at the Superman Podcast Network or you download the episode directly here. 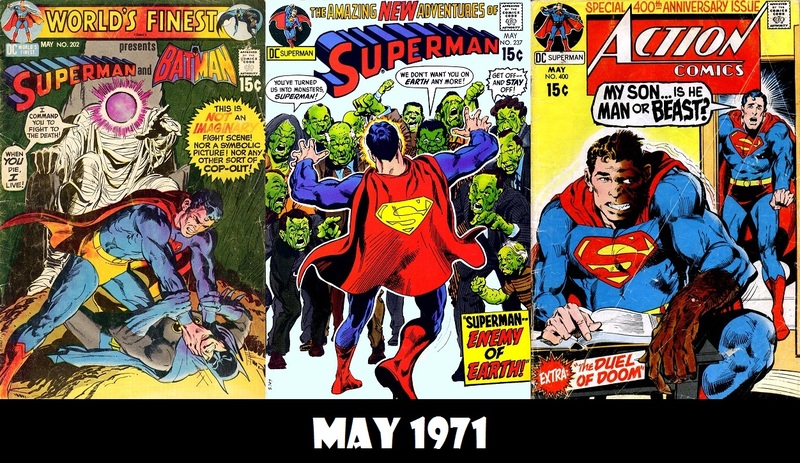 Next week, June 1971: Superman #238, World’s Finest #203 and Action Comics #401.